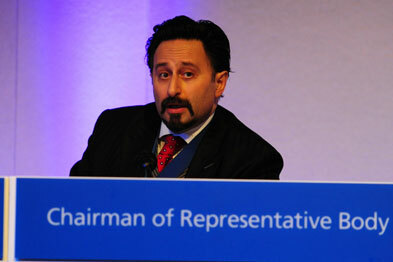 BMA members debated the coalition government's NHS reform plans on 15 March 2011 at an emergency meeting shaping the profession's response to the Health Bill. GPonline was keeping track of the debates and speeches and providing live updates as the conference got underway from 10.30am. A full agenda for the meeting was published last week. The conference considered a no confidence motion on health secretary Andrew Lansley and proposals from BMA members for forms of industrial action. 5.40pm: BMA lefties really want the vote to go against Lansley, but the room is tired and it seems unlikely... the vote is lost. 5.30pm: Mrs Anna Athow argues for a vote of no confidence in health secretary Andrew Lansley despite calls to move to next business. She represents the hard left of the BMA, fearful of 'US-style' health care. Retired member Dr John Stewart a self-confessed 'dinosaur' says it is wrong to personalise the issue. People seem to agree. 5.18pm: Critical engagement has not failed, the conference votes. The BMA should not oppose the Bill in its entirety. The BMA will campaign against the damaging aspects of the Bill and the BMA will consider what action to take. There are gasps, then applause. 5.12pm: Hamish warns not to vote to oppose the Bill in its entirety. ahead of a crucial vote on the BMA's future strategy. It's going to be close. 5.10pm: Dr Mark Porter: 'We must not turn on each other. Believe me, our message is getting across.' Is the room warming to the policy of critical engagement? It seems so. 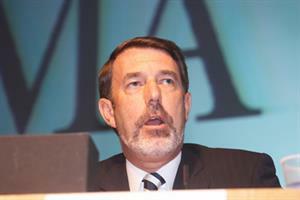 5.07pm: Dr Paul Millard, BMA council member: ‘Critical engagement was the right policy. It was not support for the Bill, it was critical.’ Mild applause from the floor. 5.06pm: Medical student Krishna Sivakumaran uses the recent student demonstrations to illustrate that the government does not listen and will not amend the Health Bill. ‘We must send a message they can’t ignore,’ he says. 5.05pm: Londonwide LMCs chief executive Dr Michelle Drage speaks against motion 175 (the motion which just brought proposer Jacky Davis an ovation) – she jokes this may be a career-ending move. She says opposing the Health Bill will disempower GPs and the government will bring in other commissioners from the private sector. 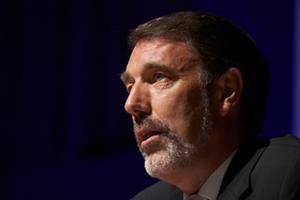 The BMA, meanwhile, could lose members to the National Association of Primary Care, Dr Drage warns. 5pm: Dr Jacky Davis (Islington) says it is clear the government will not agree to any significant amendments to the Health Bill. Speaking on a motion calling for the BMA to oppose the Bill in its entirety, she persuasively argues that the BMA must reject it completely as ‘we are the ones who have to deal with this mess’. A huge ovation. 4.50pm: The big one coming up on how the BMA acts from now on. A secret ballot will be held to prevent people being intimidated by the mob. 4.45pm: Doctors vote to oppose moves to allow acute trusts to treat as many private patients as they want. There are quite a few who feel it can help trusts earn more money. 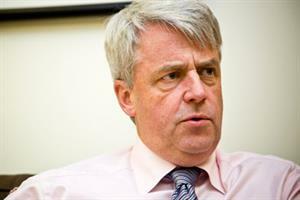 4.29pm: GPC chairman Dr Laurence Buckman tells GPonline.com he thinks the vote of no confidence against Mr Lansley will fail. 'We don't do personal,' he says. 'It's futile. He's doing a job.' The vote on the BMA's stance will be very interesting, he says. 3.45pm: Dr Tom Dolphin, from the BMA junior doctors committee, says the government seemed to have ‘accidentally’ abolished the deaneries by getting rid of the strategic health authorities that house them. The room heartily backs calls to stop their abolition and their functions being split up. 3.35pm: Hamish warns that the English Health Bill will have ‘quadri-national’ implications – the turn of phrase receives a huge cheer. An in joke, or just lots of rowdy Celts? I’m not sure. 3.20pm: Flagging journos are discussing conference chairman Dr Steve Hajioff and his resemblance to a character from Eastenders, whose name no one can remember - any suggestions? Comment below... The debate has moved on to accountability. Doctors vote to demand that the regulatory body Monitor’s first duty should be to maintain a healthy NHS, not to promote competition. 3.15pm: Hamish appeals for members not to vote for all out opposition to GP commissioning. He says it is the least damaging part of the reforms and that to reject it would cause a split with those who are already commissioning. 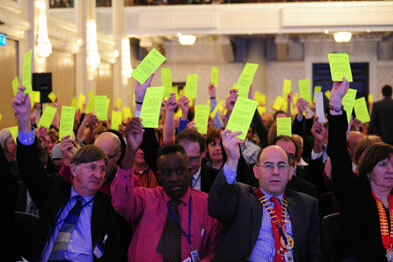 The vote is lost – members do not believe the BMA should oppose the formation of GP commissioning consortia. 3pm: Hamish Meldrum strongly supports a motion calling for a core set of services consortia must provide to avoid a post-code lottery. The room backs the motion. The meeting is in a slight post-lunch slump after an energetic start this morning. 2.45pm: The meeting passes motions proposing that GP consortia hold meetings in public and publish their papers; include all GPs in voting; and should not be able to remove contracts from GPs in PMS practices. 2.15pm: Consultant Dr Keith Brent says he has flown back from a holiday in Mexico and been up for 27 hours to get here. Members aren’t impressed. Laughter at his tight blue t-shirt distracts from whatever point he’s trying to make. 2.06pm: Members pass a motion supporting GP commissioning but stating that it can be achieved without legislation. GPC member Dr Helena McKeown says 'Lansley has played a blinder' by hiding his dangerous reforms behind GP commissioning. 1.45pm: The 400 ravenous doctors here today have demolished the dessert spread before your humble live blogger could grab a slice of cake. Catering staff can't keep up with the demand for coffee as delegates pump themselves up to debate the merits of GP commissioning after lunch. 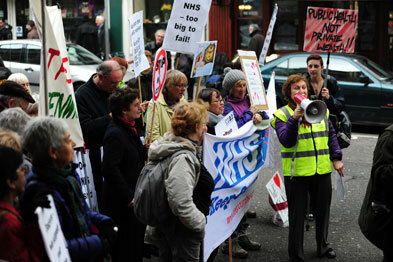 12.35pm: BMA council member Dr Jonathan Fielden is heckled as he argues for commercial confidentiality. ‘How much do you earn?’ people shout. 12.30pm: Dr Wendy Savage, an Islington doctor and chairwoman of Keep Our NHS Public, says the Health Bill allows private companies to hide behind commercial confidentiality despite using taxpayers’ money. 12.20pm: Surprisingly, two speakers speak in support of price competition. There is a round of applause for the BMA’s parliamentary unit for securing amendments to the Bill on competition, but Dr George Rae, chairman of the BMA’s north east council, is still concerned. Price competition is wounded but not mortally, says Hamish. Members vote to remove it completely from the reforms. 11.40am: Dr Ian Banks is high-fived by delegates after a storming address. He likens working with the government to ‘asking someone to use chewing gum while they are strangling you because their breath is making you sick’. The room unanimously votes to reject the Health Bill. Dr John Canning is both jeered and applauded when he argues against targeting the health secretary personally. 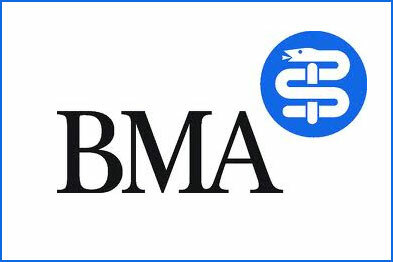 He wants the BMA to be able to shape the reforms. Conference chairman Dr Steve Hajioff calls for courtesy. 11.15am: The aptly named Dr Antony Lynch is the first person to speak who offers some degree of support for the reforms. He receives muted applause after speaking out against calls for the government to hold a referendum on the Bill. 11.10: Members pass the first motion almost unanimously, calling on the government to stop using flawed statistics to make the case for reform. The NHS is the ‘most cost effective health economy in the world’, says GPC negotiator Dr Chaand Nagpaul. 10.50: The room wakes up as Hamish Meldrum lays into the ‘ill thought-out legislation’, ‘implemented in a rush during a major economic downturn’. Delegates then go wild as Hamish shouts: ‘Let no one be in any doubt: I do not support this bill, the profession does not support this bill, the BMA does not support this bill.’ There is some laughter as the slightly mad cheering and whooping dies down. 10.40am: Dr Hamish Meldrum takes to the stage. ‘The decisions you make today will have a profound effect on your profession, your patients and the future shape of the NHS,’ he says. 10.30am: Rather dramatically, a gong is rung to clear people out of the coffee room and signal the beginning of the meeting. Members stand in a moment’s silence for those in Japan. Once inside the Grand Connaught Rooms are looking very grand, and the assembled BMA members are chatting away. Lots and Lots of national media here too.